This weekend, I spent a morning, along with Humane PA volunteer Ginnie Kintz, tabling at the Roslyn Pet Fair, a fun, well attended annual neighborhood event. Not only did this give me the opportunity to pet a lot of friendly and adorable cats and dogs, but it was a great way to spread the mission of Humane PA among others who care about the humane treatment of animals. 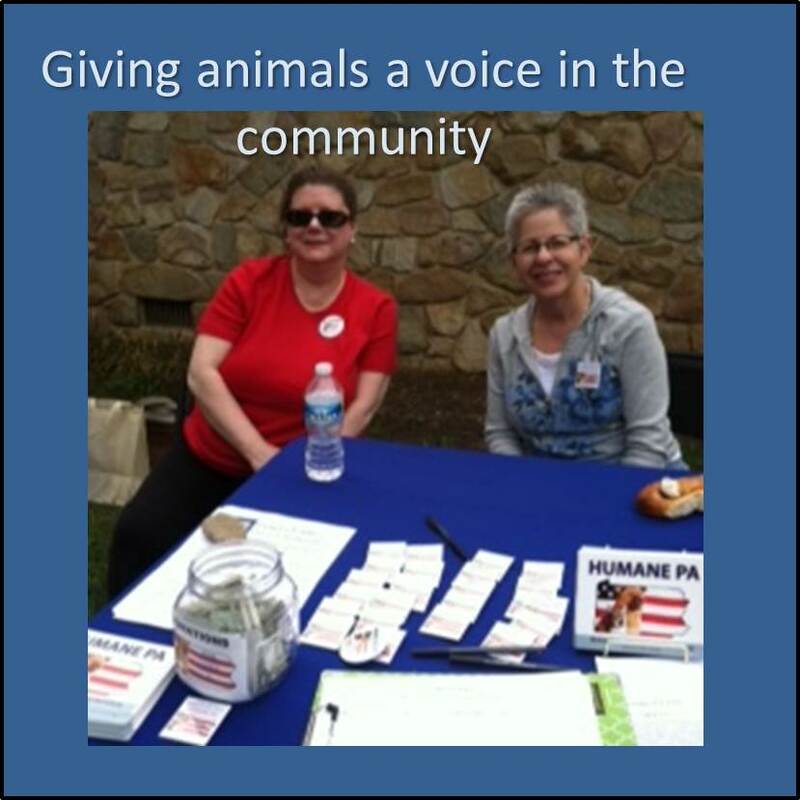 Tabling at neighborhood events has many advantages – in addition to being a fun way to spend some time – it is an effective way to enlist others in your immediate community in our quest of making Pennsylvania a kinder and more compassionate place for our animals. First, neighborhood events are attended by people in your community, i.e., people you may have seen in the supermarket, pharmacy or on your bus or train commute to and from work – which makes conversation much easier. Numerous people stopped by our table who we have seen on our regular train commute – people who but for tabling at the fair, we would have had no idea had an interest in animals and cared so deeply about animal cruelty issues. We may have exchanged smiles and hellos in the past, but tabling afforded us the opportunity to discuss pending animal related legislation and how to make a difference for animals from a political perspective. Second, neighborhood events are frequently attended by local politicians, such as commissioners and township office holders. Tabling provides an excellent opportunity to solicit their involvement in promoting a humane agenda. Third, many local rescues and businesses also table at these events, providing a wonderful platform for networking and exchange of information. Fourth, tabling enables education: there are many people who do not know what animal related bills are pending and how to get involved. And, although Humane PA works very hard through social media and other venues to engage the public in the process, there are still many people who care about animals who are unaware that there is a statewide group committed to improving the lives of animals by electing compassionate lawmakers and passing humane and protective laws. Finally, by tabling at a local event, you can help build the power of the animal vote in your very own backyard – the more people in your district who contact the district state representative and senator in support of humane legislation, the more likely that elected official is to be responsive and to be a voice for animals in Harrisburg. Many people stopped by our table at the Roslyn Pet Fair. They asked questions about what bills are pending and which legislators support humane legislation. They signed up to receive the Humane PA newsletter and action alerts. They picked up fact sheets on pending bills. 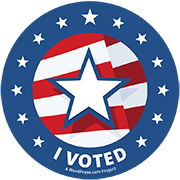 They picked up and pinned on their shirts the “I Care About Animals and I Vote” Humane PA button. And, while Ginnie and I were enjoying the morning and fussing over lots of beloved pets, we were also increasing the engagement of others who care about animals to join with Humane PA to end cruelty to animals in Pennsylvania. I encourage everyone to consider tabling at events in your own neighborhood. Humane PA will be happy to provide you with the necessary materials and guidance to do so as well as tabling tips and guidelines. Humane PA’s Flyer and Post Card can easily be printed from our website too. Together, we can and will make Pennsylvania a kinder place for animals.